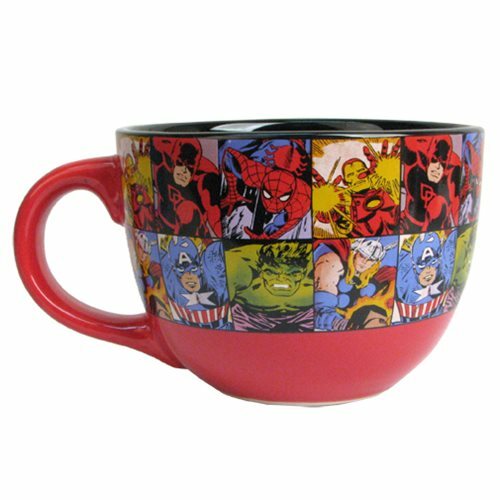 How many Marvel heroes can you identify in the artwork on this Marvel Comics Character Grid 24 oz. Ceramic Soup Mug? Safe to use in microwave and dishwasher. Measures 3 1/4-inches tall x 5-inches in diameter. Ages 14 and up.